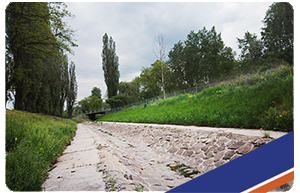 Development of flood embankment of the Vistula river n the Puławsko-Parchacko-Bochotnicka valley at km 1+558 – 3+203 increase of flood protection level extending of the existing right side embankment of the Vistula river and upgrading it to class II hydraulic structure. 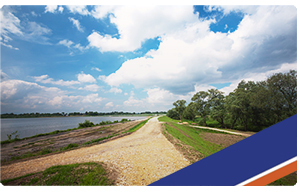 RÓW POLSKI – REGULATION AND EMBANKING AT KM 8+100 - 1+100 WITH THE RYDZYNA WATER RESERVOIR. 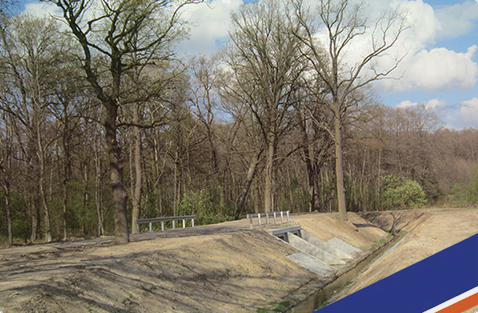 REDUCTION OF FLOOD HAZARD IN LUBLIN VOIVODESHIP BY CONSTRUCTION OF THE SMALL STORAGE RESERVOIR IN KRASNYSTAW.